Fike Swim is excited to announce the world’s first-ever weighted goggle, the Attacker Revolucionario 2x. The AR2x represents a massive advance in both training and racing. 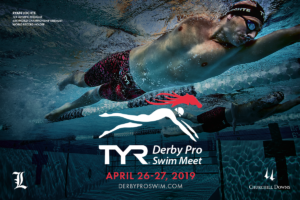 Athletes will come together on Friday, April 26th to compete in the TYR Derby Pro Swim Meet presented by Churchill Downs., with 12 times Olympic medalist Ryan Lochte acting as event host. Inspired by the varying skin texture of a shark, the original Fastskin suit came with compression and ridges in key areas as Speedo developed a fabric which mimicked nature and helped swimmers glide through the water. 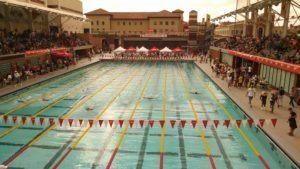 In the final dual meet of the regular season, the USC men defeated the Utah men, with 2 USC facility records broken in the process. Performance Elite Aquatics (PEAQ) Swim Team in Madison, Mississippi has just released a hype video for their Long Course State Meet this week in Tupelo. While they do this at the end of each season, this summer’s video has a little something special – shout outs from over 35 current and former Olympic swimmers, coaches and family. Fourteen-year-old Maddie Howell has been doing the videos for almost two years now, but knew she wanted to do something special this Olympic year. Howell went to the Trials with friends and family and camped out every day in strategic locations to grab the swimmers’ attention when she could. 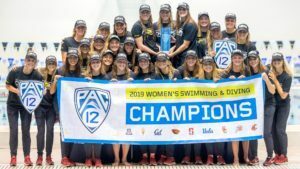 Over the course of the week, she was able to get both Olympic Head Coaches David Marsh and Bob Bowman, and many swimmers including Missy Franklin, Caeleb Dressel, Katie Ledecky, Maya DiRado, and Conor Dwyer. She also nabbed five-time Olympian Dara Torres, and Olympic Gold Medalists Jason Lezak and Josh Davis. Mid-way through the trials, Howell realized just how special the video would be. USA Swimming had started a #SWIMUNITED campaign about the sport’s unity that they touted throughout the week. “These elite swimmers training and dreaming about making the Olympic Team still took the time to stop, take pictures, and sign autographs for swimmers dreaming of their own Olympic Trials someday. That’s pretty united,” she said. Video made by and courtesy of Maddie Howell.